After a walk around Diamond Museum, many visitors stop by this cafe. 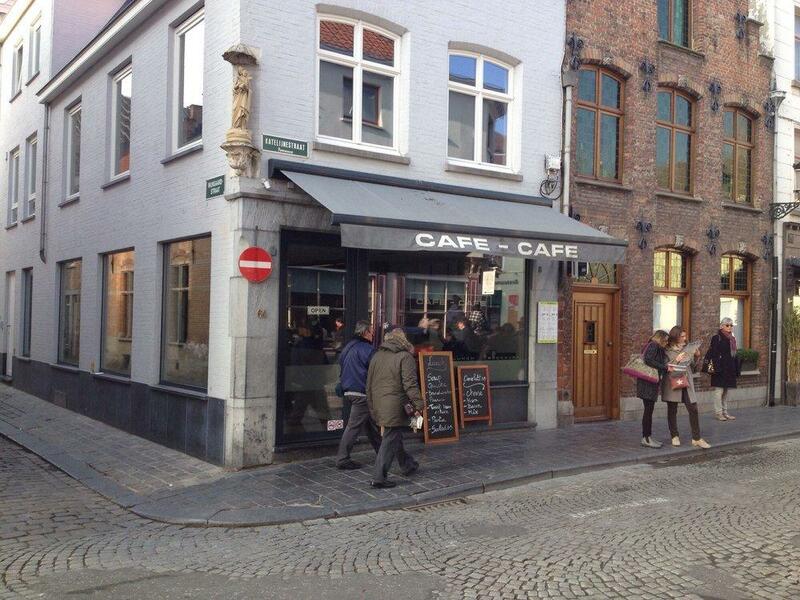 If you like the Belgian cuisine, you should visit Cafe Cafe Vof. You will be offered tasty sandwiches, soup and omelettes. The best choice here is good croissants. This place offers good espresso among its drinks. This spot is famous for its great service and friendly staff, that is always ready to help you. From the visitors' point of view, prices are attractive. You will like the spectacular decor. 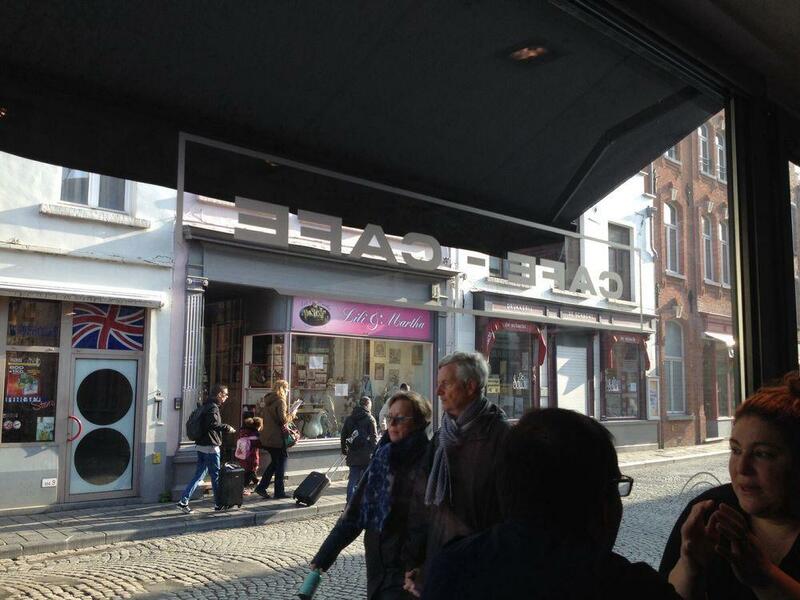 But this cafe hasn't got a high rating on the TripAdvisor site. 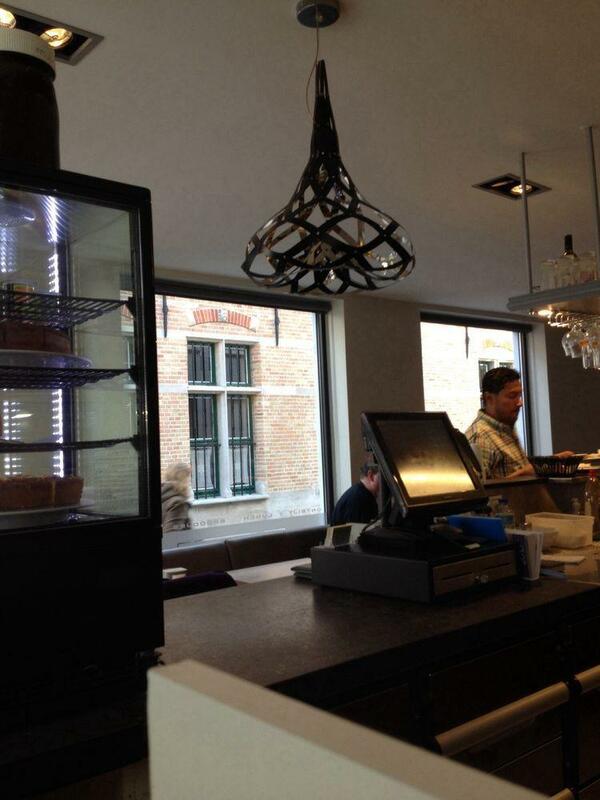 Quaint little cafe located on corner in outskirts of Brugge. Standard menu features English language on the right side. I enjoyed the Belgica Panini (ham, cream cheese, and pesto). 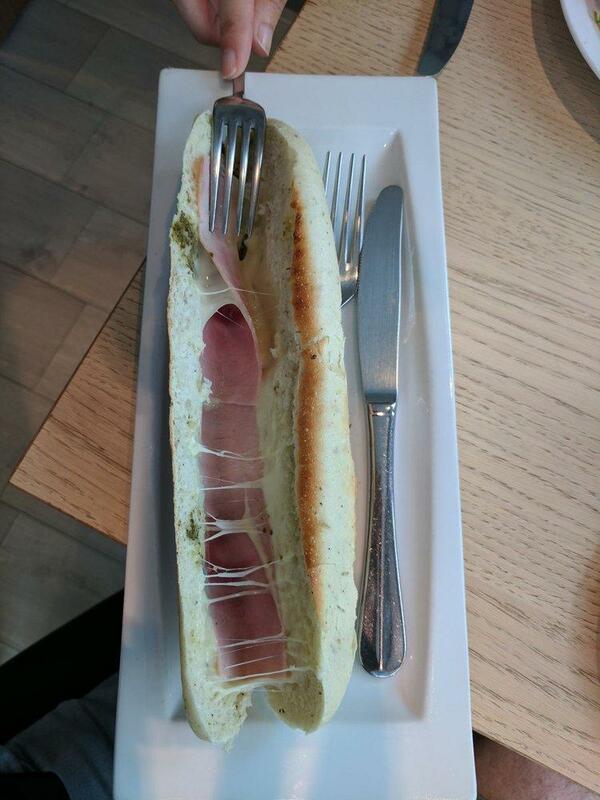 The sandwich was served very hot on a healthy portion of bread. There was only 1 slice of ham I side, but meat portions in sandwiches in Europe do seem to be MUCH lighter then on our gluttonous American sandwiches. :-) BTW, the "cream cheese" on my sandwich was really mozzerella. This was either a bad translation, or they were running low today ;-) My wife enjoyed her Quiche of the day which was a Quiche Lorraine​ with ham, cheese, and eggs. This was average quality and likely store bought, but it has served hot and tasted good. Service was good and clean restrooms are available for customers. 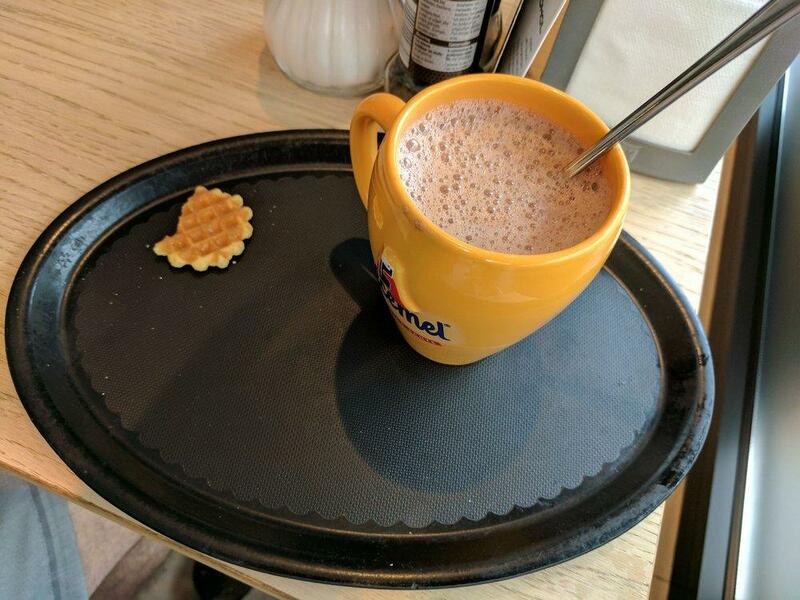 Our Order: Waffle (with strawberries and cream), Omelette, Espresso, and some Tap Water. 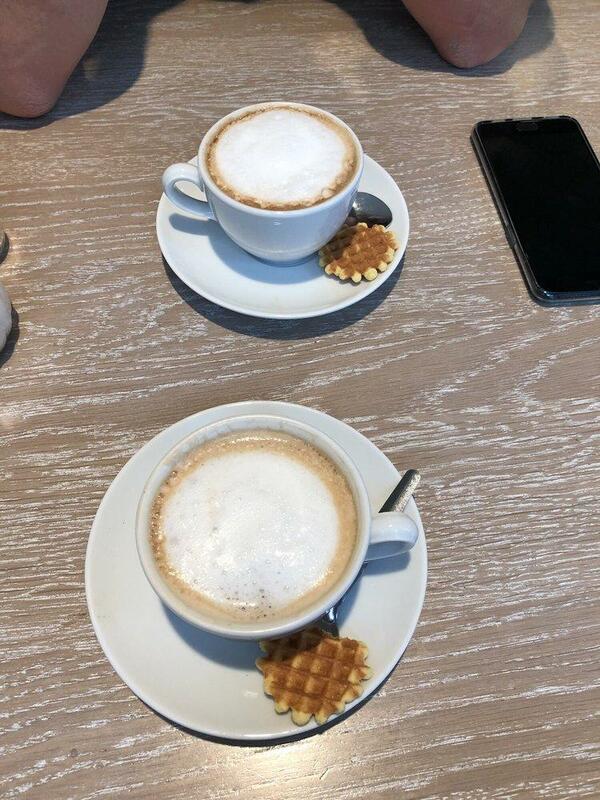 The Result: a stale, chewy waffle that had been barely reheated instead of made fresh, a bland omelette without toast or bread, a watery foam-less espresso (the worst my girlfriend said she has ever tasted) and a heavy dose of attitude from the waiter instructing me he would not serve me tap water only bottled water that cost another 3euro. If you see this place - keep walking, or if it's late at night and you need a urinal consider the front door.